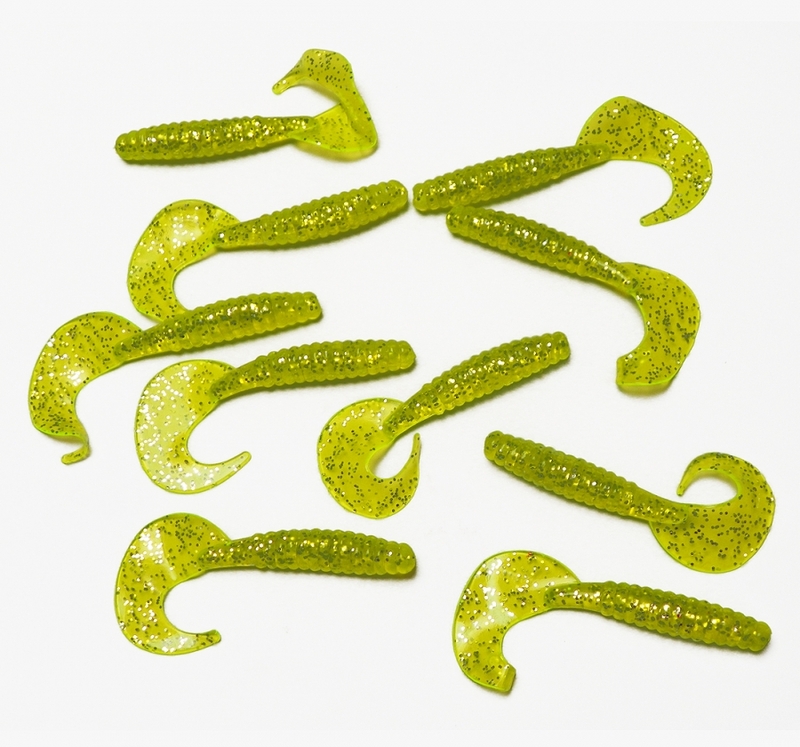 Pack of 10 large soft plastic grub style lures. Colour is yellow with glitter. Length excluding tail: 60mm (6.0cm). These lures requires jig heads (weighted hooks) sold separately, these are available in the "hooks and swivels" section of this website, available via the top menu. This size of soft plastic lure will accept our range of weighted jig-heads up to 5 grams in size.